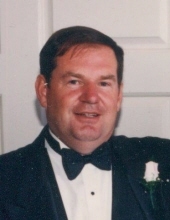 David Kent Austin, 73, of Forest , Virginia, went home to be with the Lord on Friday, March 22, 2019. Born in Amherst , July 11, 1945, Mr. Austin was the son of the late Ernest Allen Austin and Mary Kent Austin, of Amherst. He was retired from Babcock-Wilcox and was a decorated U. S. Marine Veteran who served in Vietnam . He was also a member of Thomas Road Baptist Church. In addition to his parents, he was preceded in death by his brother, William Austin and sister-in-law, Patricia Austin, of Madison Heights. He is survived by his wife, Judith Lee Jordan Austin of Forest, children: daughter Diane Austin Bryant (Forrest) of Madison Heights, son David Wayne Austin (Theresa) of Spout Spring, step children: Jennifer Fox (Gregory) of Staunton , David Samuelson of Forest, and Jonathan Samuelson of Forest, brothers: Donald Austin (Betty) of Clifford and Stephen Austin (Sheila) of Madison Heights, grandchildren: Kaity Taylor Foster (Garrett) of Kansas, Ryan Taylor of Madison Heights, Chad Bryant of Lynchburg, Stephanie Bryant of Lynchburg, Logan Austin of Spout Spring, Wyatt Austin of Spout Spring, Carter Austin of Spout Spring, and Mya Austin of Spout Spring: step-grandchildren Christopher Samuelson of Staunton and Jared Samuelson of Staunton, and numerous nieces and nephews. A celebration of life and military honors service will be held at 11:30 am on Saturday, April 6, 2019 at Living Water Baptist Church, 496 Dogwood Drive, Madison Heights. The family would like to celebrate David’s life with a reception following the service and request guests bring a side dish or dessert to share. In lieu of flowers, donations to the church in his memory are gratefully appreciated. In lieu of flowers, donations to Thomas Road Baptist Church or to the Patrick Henry Boys and Girls Home, c/o Patrick Henry Family Services, 1621 Enterprise Dr. Lynchburg, VA 24502. in his honor are gratefully appreciated. To send flowers or a remembrance gift to the family of David Kent Austin, please visit our Tribute Store. Patrick Henry Boys and Girls Home, c/o Patrick Henry Family Services, 1621 Enterprise Dr. Lynchburg, VA 24502. "Email Address" would like to share the life celebration of David Kent Austin. Click on the "link" to go to share a favorite memory or leave a condolence message for the family.